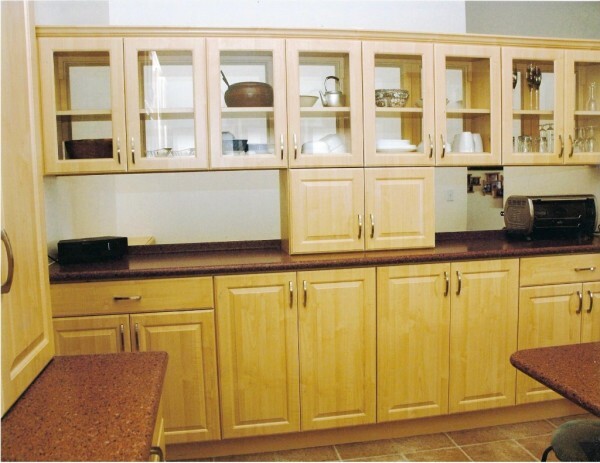 Kitchen & Bath Remodeling fabricates custom cabinets using plywood core. The cabinetry as well as the doors are warranted! 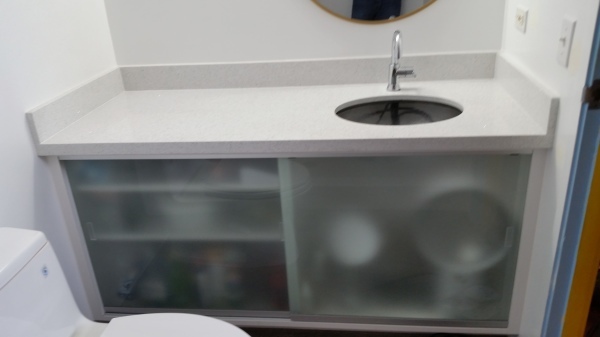 Our solid surface countertops are also custom made from edge detail, height of your backsplash, to the type of sink you select, we fabricate and install your tops to your liking. LG HiMacs solid surface material also comes with a 15-year transferrable warranty! 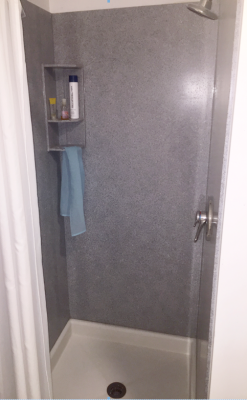 Yes, we do tub to shower conversions with your choice of solid surface or tile pan that can be customized to height and color. We offer a wide range of shower surrounds, which includes: solid surface, quartz, and tile (ceramic, porcelain, stone). Customization of showers, such as adding a sitting bench, grab bars, and shower ledges or caddies are also options for you to choose from when remodeling your shower surround. 1. Cabinets are measured, by a trained professional, for new custom cabinets, doors, drawer boxes, surface materials, and accessories. Once you have chosen the color and door style you like, an order is placed. 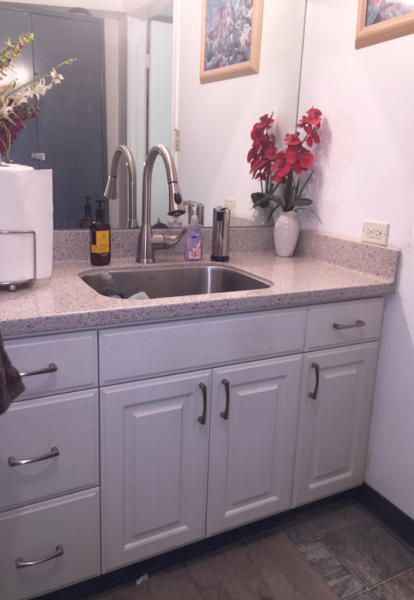 If you decide to remodel your countertops and/or vanity tops a color and style is also selected. 2. 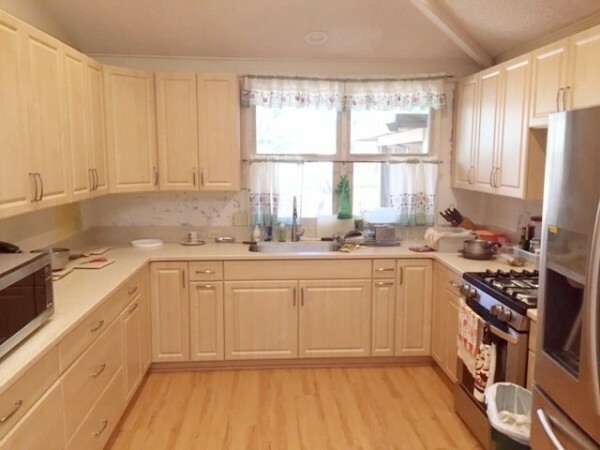 Countertops and flooring are protected and cabinet surfaces are prepared for installation of new materials. If you chose to remodel your countertops and/or vanity tops it would be measured for fabrication at this time. 3. Trained installers reface your cabinet boxes with durable new surface material or install your new cabinets, in the color you selected. Your beautiful new doors, drawer boxes, hardware and accessories are installed and the area is then cleaned and inspected. 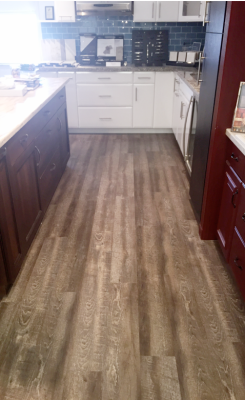 Kitchen & Bath Remodeling can finish your remodeling project with your choice of flooring. 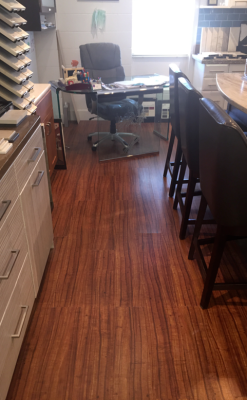 We offer a variety of choices which include: Paradigm, tile (ceramic, porcelain, stone), and sheet vinyl. Paradigm is becoming one of the more popular options for customers and carries a lifetime warranty. It is 100% waterproof and is available in many different styles and colors.